A. Removing other languages only supports Chinese and English (many terms translation in other languages is not completed). B. Improve the help page. C. Revised the pricing unit of the setting interface. D. Fixed wallet mode and account login mode issues, and defaulted to local wallet mode. E. Adjusted the settings interface, balance inquiry, 0.9.3C and other options. F. Adjust the withdrawal and recharge of the personal asset page. G. Add the Chinese interface for voting help. H. Fixed an issue with the number of 100.1111111 participating in the prediction error and the legal amount overflow. 1.The octopuspaul，football game product， is officially connected to the SEER public blockchain, becoming the first landing application on the SEER public chain. It is expected to be applied before the World Cup. Octopuspaul (Chinese translation: Zhang Yubao) is the world's first graphene-based football quiz game product. This product is based on the bottom layer of the seer public blockchain, providing a variety of ways to play lmsr. In the future, we will continue to improve the prediction function of multiple sections. 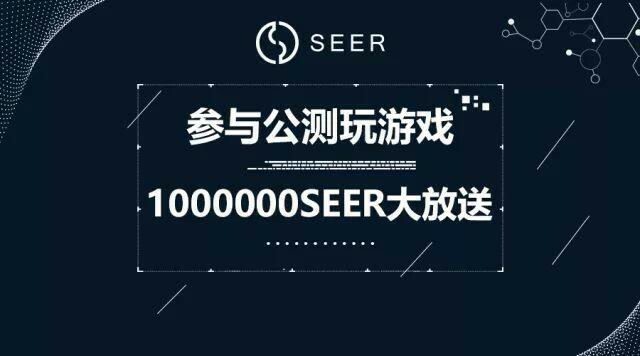 This product will also be the first landing application on the seer public blockchain. It is expected to go online before the World Cup. The octopuspaul will cooperate with the fans' alliance and Aibo. The former is deeply engaged in fan management for many years and has a huge fan base. The latter, as a competitive game brand of Gaode Sports, has an annual turnover of 1 billion yuan. The two-level user inventory and experienced industry experience will help the octopuspaul to quickly become the explosive product of the World Cup year, and the octopus is also expected to become the benchmark product for the blockchain application. 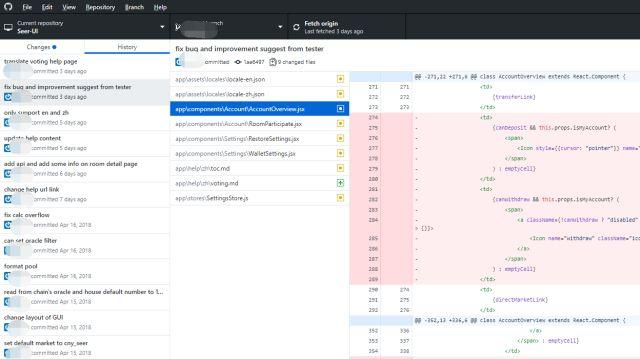 2.SEER test version of the graphical interface wallet launched to participate in the public beta to find bugs and share the experience to win a million SEER activities, last week, SEER received a total of 35 feedback and BUG submission, the technical development team has made an update, please be on the official website (http: //seer.best/) download. This week's event continues and I hope everyone will participate actively. 3.GDEX.SEER: The exchange fee for SEER is: April 12th - April 26th, 2018. If this time is exceeded, the corresponding handling fee will be charged. 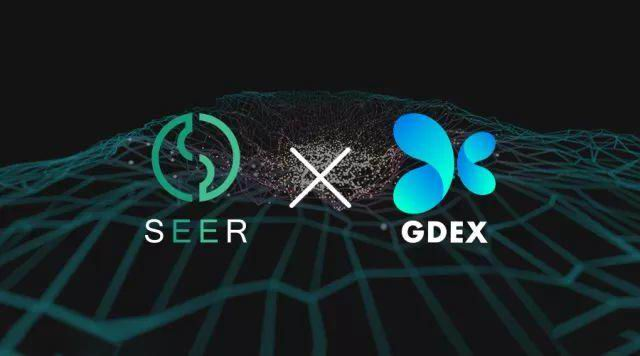 For users who hold the internal "SEER" assets, please go to the BTS internal disk GDEX.SEER: SEER trading market for 1:1 exchange as soon as possible. Currently supporting exchange platforms including gdex.io, magic wallet, hellobts.com. 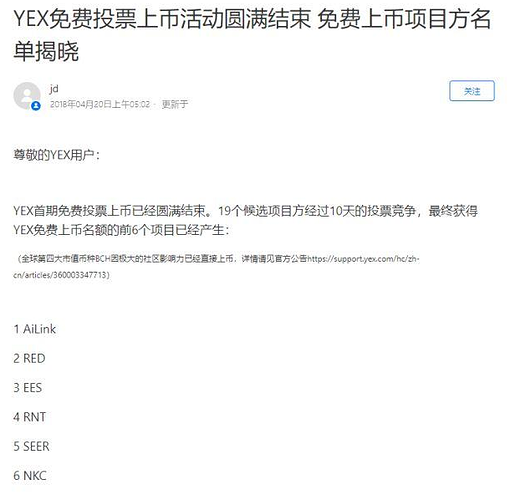 SEER participated in the YEX.com platform to vote for the token, got 351,277, and successfully listed on, thank you for the support of the community.